The optical colour mixer shows us how the rotating of the spinning top results in an optical mixing of the colours. Aspects of chromatics are demonstrated with changeable discs. After a design of Ludwig Hirschfeld-Mack of the year 1977 the colour mixer was first produced and since then is considered a toy with a high educational value. The art education programme of the legendary "Bauhaus" was without a doubt decisive for the advancement of design and architecture in the 20th century. The philosophy of interlocking artistic, manufacturing and social dimensions is considered the fundamental turning point towards "Industrial Design." Ludwig Hirschfeld-Mack was at the Bauhaus in Weimar from 1920 to 1926 and passed his art print journeyman's exam there. 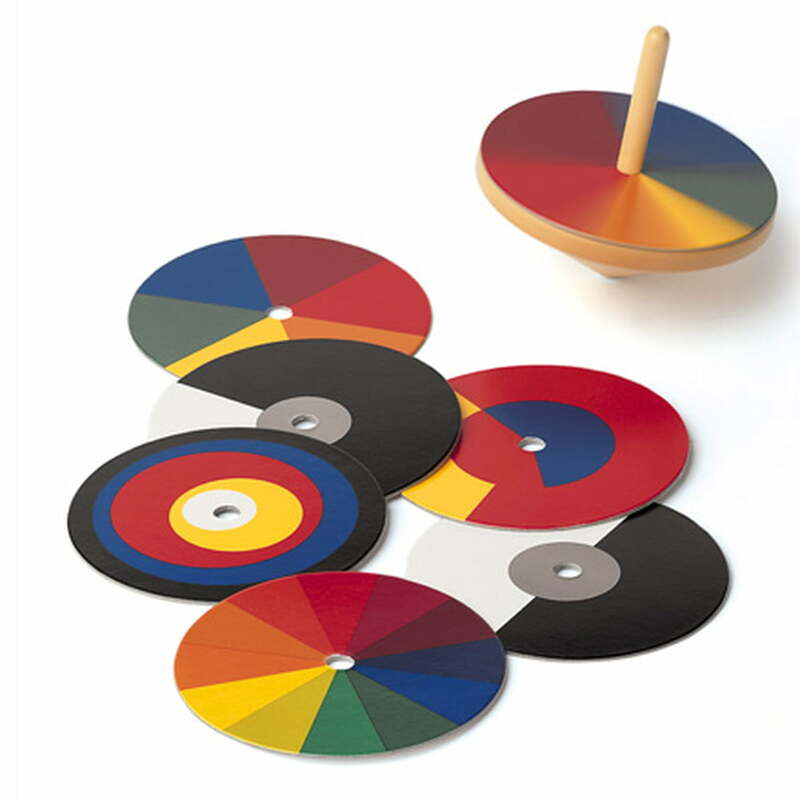 The Naef Games AG produces the Bauhaus-toys following the original designs. I bought one to my 2-yrs boy, he interested in turning around this simple funny toy. He also like the color changes while the optiscal color mixer is turning around.